It's not fair to plagiarize, Visco! 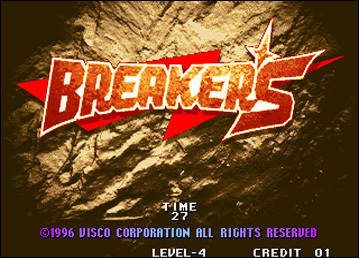 In 1996, the Visco company released its first VS fighting game: Breakers. 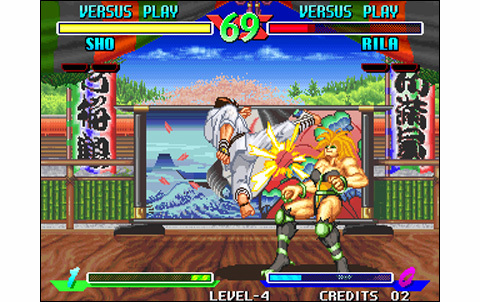 And the editor logically chosen the Neo Geo for this, under the form of an impressive 210 Mb cartridge: this sounds good! 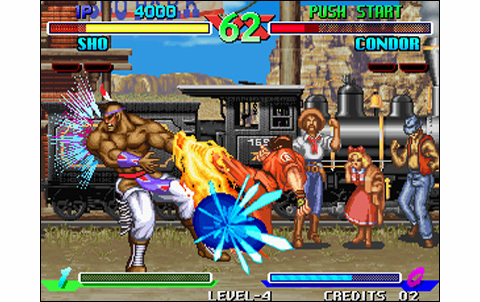 After a beautiful and dynamic intro, prepare yourself for this catchy fighting game packing some surprises. 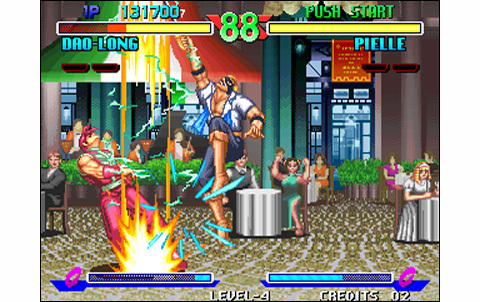 The first time you play Breakers, one can not help but note the similarities with Street Fighter II. 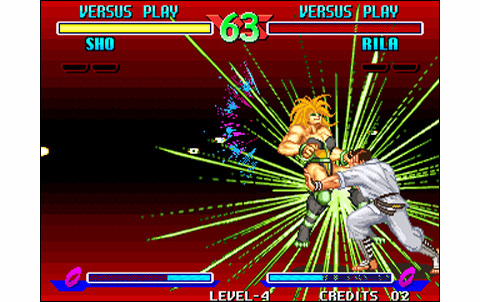 Visco clearly plagiarized shamelessly Capcom's hit ... 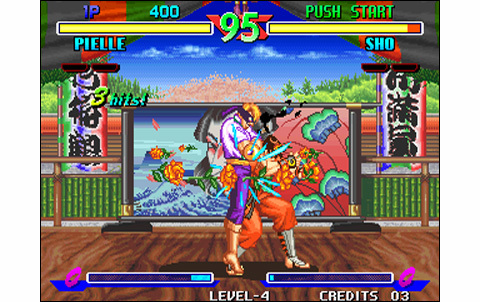 In particular with the special moves for a bunch of their characters, which is pretty funny... Chun-Li's hurricane kick, Ryus fireballs,Ken's dragon punches, various Zangief throws, Dhalsim flames... these are just examples of moves shamelessly transposed to the characters of Breakers. 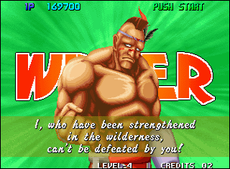 Not to mention the fighters themselves! 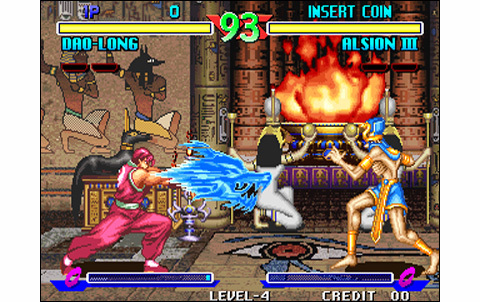 Alsion III who stretchs like Dhalsim; Rila being a female version of Blanka; Dao-Long, who looks like Fei-Long but packs Guile's specials, or Tia who is a distant cousin of Chun-Li. 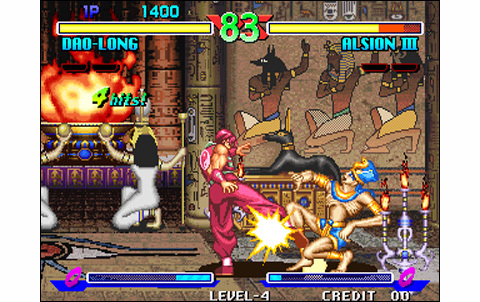 In short, Visco comes in a totally assumed plagiarism, probably conscious of the kitsch side of the thing, being reinforced by the fact that the game hits the arcades no less than five years later. And let's mention that some characters are totally ridiculous (Pielle, if you hear me...). 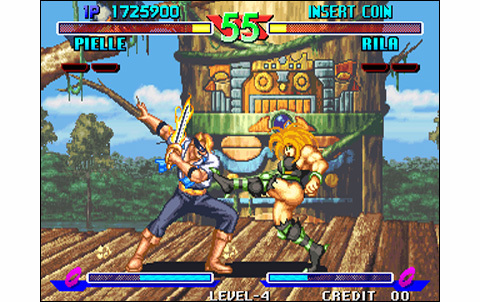 If we wanted to be strict with the game, we'd say it has invented nothing at all, that its realization is barely acceptable for a 1996 game on the Neo Geo, and that the roster packing eight characters is a pure joke in comparison of other titles on the system. But here on Neo Geo Kult, we like to give a chance to it! And we must recognize that we had much fun when playing this crappy - at first sight - game. 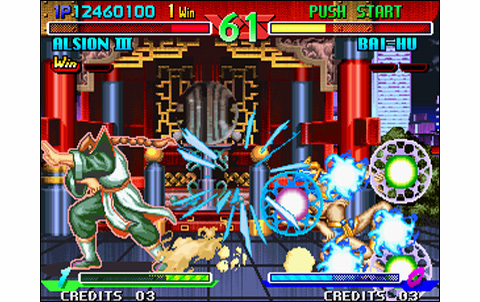 The attacks come out well, the combos are legion, visual effects are nice, animation is fluid and fast, the graphics are not so bad... and the duels are finally very addictive! Not too bad, for an editor releasing its first game in this genre. The realization, if it's not "breathtaking", is fairly decent, and the gameplay provides good feelings - though some characters are not very balanced. And despite its numerous flaws, it's still explosive and addictive! 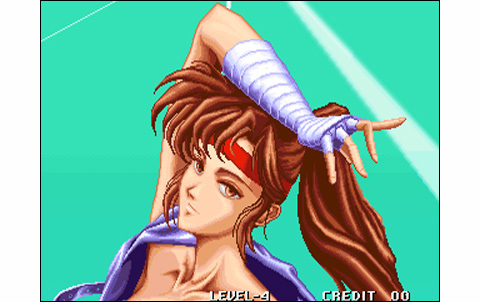 To speak briefly about Breakers' imperfections, I would start by the tremendous lack of charisma of the protagonists (some are downright ridiculous) but somehow, this is what makes their charm. We can also talk about musics, pretty bland and repetitive. Richard Clayderman -a famous french piano composer, oftenly played in elevators and WC - is in fact about to complain for plagiarism! 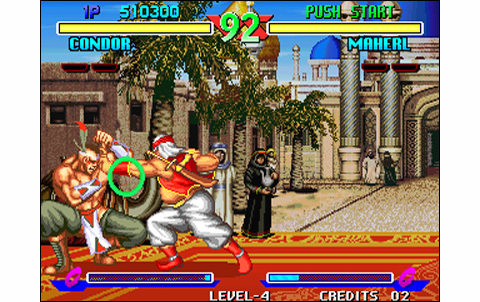 The roster is pretty limited too: think that in 1996, rivals are games such as The King of Fighters 96', featuring twenty-nine characters, Fatal Fury Real Bout Special with twenty characters or even Street Fighter Zero 2 and its eighteen warriors. So with the eight Visco's clowns , it's nothing special we have here. 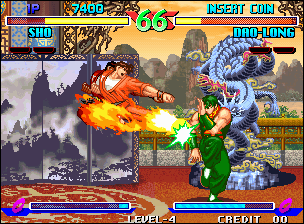 The eight knockabouts still have a lot of attacks, a multitude of combos, with a fast-paced action requiring good reflexes. 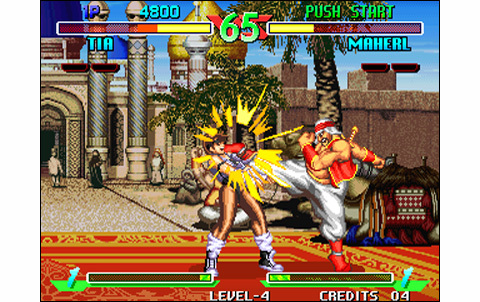 Combat have a great intensity, and versus with friends are pretty good times! This complete range of moves and the numerous combos and specials compensate the weak roster. Furthermore, almost all the techniques can be performed quite easily - provided you trained a little - and have players coming for more soon. 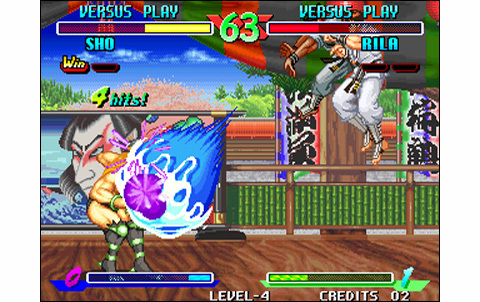 Visco made a Street Fighter-like gameplay: simple, accessible, fun. 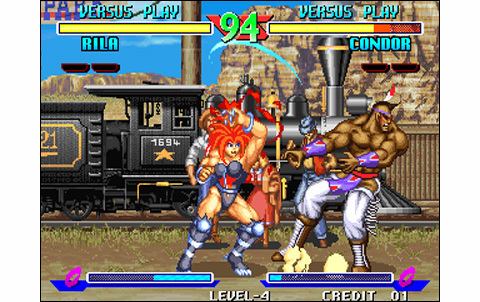 Infact, everything a player wants in a good VS fighting game is here: a decent realization, a fun and technical gameplay, and a good choice of characters (...). Visco's Breakers, while not being part of the elite in its category, is getting away with honors. This game is a perfect choice for a drinking night with friends, be aware of it: you have to try it once! 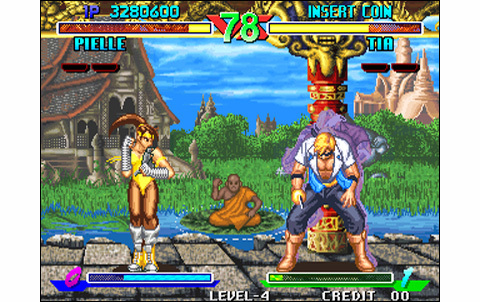 It's nice and colorful, but sometimes graphics are a little bit rough, and stages are lacking depth. Breakers features an awesome animation, and the action is dynamic, smooth and fast! The sound effects are doing the job and the 'ouch' factor is good. Too bad the musics are so boring! 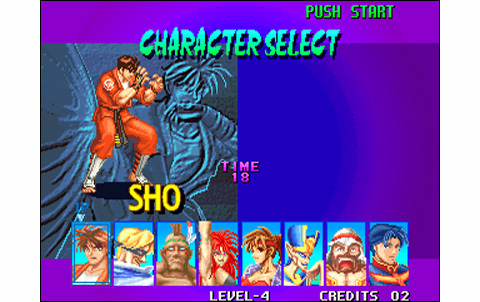 Only eight characters, totally plagiarizing Street Fighter II and some other ones, but those pack plenty special moves and combos, and the VS between humans are incredibly fun. Fun and breathtaking, it's the big point of the game. 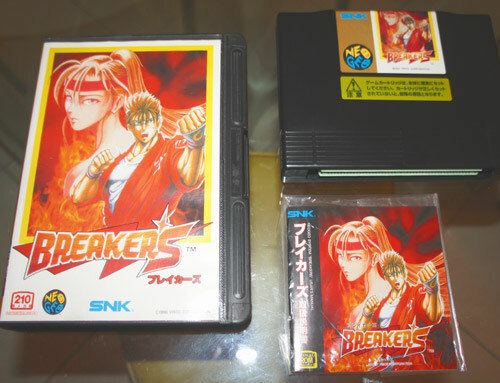 Even it's not really original, Breakers is a lovely game, excellent for tournaments between drunk players! 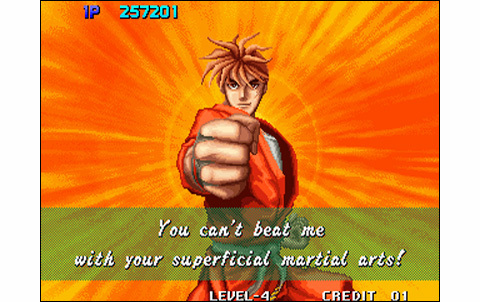 One completely badass fighting game, plagiarizing shamelessly SF2, but getting away with honors: good realization, good personality, and an amazing fun factor!